It’s like an acro hurricane of pink awesomeness! Thanks, Matt. After hating blue LEDs for years, I love them. I have been a metal halide and t5 only guy for years. But a few years after adding reefbrites to my system, I have “acclimated” to the blue look and it’s my favorite viewing. My reefbrites are on in the morning and evening and the metal halides and t5’s during the day. It’s people like this guy that keep me addicted to acroporas, no matter how many times I fail! Thank you. I have always found motivation by observing other reefers acros and encouraged to try my own efforts. I travel quite a lot, usually to see family and so I knew this day was inevitable. I knew that one day I would come home and ……. Well, I have a hard time saying it but I had a tank catastrophe. I have had previous tank crashes in my 22 years or so of saltwater reefing but this was different. Atleast it feels different. In my past crashes , I can recall two but there may be one more that I have willfully forgotten,. With my previous crashes, I was either shy on knowledge and/or I also simply became overconfident or just too experimental. This time I was neither, I don’t think. Bad things can happen to our tanks at any time. Certainly there is a long learning curve in this hobby and there are all kinds of mishaps to be had. Some sort of equipment malfunction, or a bad batch of something whether salt, testing solution, food, or carbon, on and on or maybe even just a touch of distraction. Lots of stuff can go wrong. And so many reefers, including myself buy the best equipment we can afford, watch our livestock for health, test regularly, and have all kinds of redundancy. And sometimes, unexpected things just happen. So what happened, I was visiting my sister out of state when my wife called to tell me she had evacuated from our home by mandatory order. There were firemen on our street with bullhorns yelling to get out now. There was a huge fire. No not in the house. I live in Southern California and the Woolsey fire came into my neighborhood. Fortunately, my house and my neighbors homes were not burned. But the power went out because of the fire. It was out somewhere between 37 hours and three days. It happened on Thursday, November 8 and we were allowed back in on Tuesday. The power outage was devastating with the lack of water circulation and the loss of oxygen to the water. As you can imagine, most of the fish were dead, actually pretty much decomposed and gone by the time I was back in the house on Tuesday. Almost all the sps colonies were RTN’d. Surprisingly, the LPS and the only two monti’s I have were all fine. The LPS and my clam were quite happy and looked their best. With the death of the livestock, the alk went from 8 dKh to about 10.5 and nitrates went from around 5-10 to closer to 25 ppm. Neither of those parameter changes were really surprising. It is a big tank with lots of rocks, siporax, chaeto and sand so I think it handled the amount of dead fish fairly well. I don’t think it recycled at all. And so obviously, I don’t have a generator. It is California, and in my lifetime this was the longest power outage by far I have ever seen. Can’t really explain away why I never just added the cost of a generator to my reefing budget with everything committed to this tank in terms of time, money, energy and love but I didn’t. I will be able to salvage just a few sps hopefully although not really sure how much. I believe I lost about 90 to 95 of my 100 or so sps. I don’t want to quit and I don’t want to jump right in. For now, I am planning on just getting the tank back to health without trying to restock it. Getting parameters back to a range I am comfortable with. I might downsize in a while just because it is a really big tank and it may finally be more labor intensive than I want to continue with. Can’t imagine not having sps to look at though. Although I am not really sure what direction I will eventually head in. But I am a stick head, an SPS guy, through and through. I have trekked to World Wide Corals, Reef Raft Canada and certainly all over Southern California’s many great sps spots just to look and sometimes collect some incredible gems. I have also visited so many hobbyists as well, to look, admire and sometimes accumulate a frag or two all over the country. So its hard to imagine not having sps to look at and enjoy and be mesmerized by. Right now, its pretty unsettling not to have all those colorful sps. A good part of my daily routine has started with checking the tank and equipment in the morning to confirm everything is working before I start my day. Maybe even flicking the blue leds on early in the morning for a few minutes just to get a glimpse of all that incredible color being displayed under the lights and then turning the lights off and back to the automatic setting. And like everyone else’s routine, taking a few minutes during the course of the day for feeding. I routinely check parameters atleast once and usually twice weekly. Water change, filter sock change, clean the skimmer, and clean the glass on the weekend. Maybe trim the chaeto once a month. Make sure my RO/DI and saltwater reservoirs are ready. It a long list of activities associated with the tank routine. Plus of course, following the online forums. 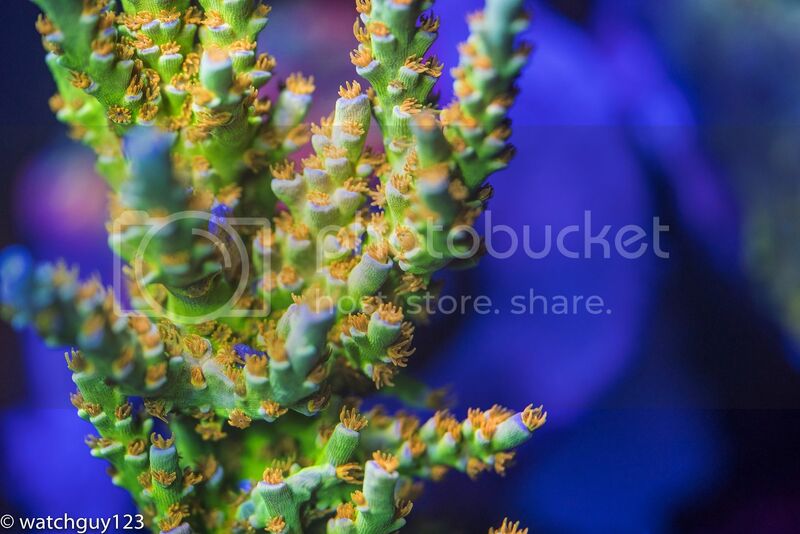 A lot to see and learn from other reefers and certainly one of my favorites has been sharing photos. Not much to photograph right now. The hardest part though is I am very much missing that Zen time. What I mean by Zen time, is the time you stop to take a look at the coral for just a few minutes and then before you know it an hour or more has gone by. For me, getting lost in the delight and amazement of the coral and fish for many, many minutes at a time has been one of the best pleasures of reef keeping. I still have lots of pretty LPS to look at but I have always found SPS more interesting. 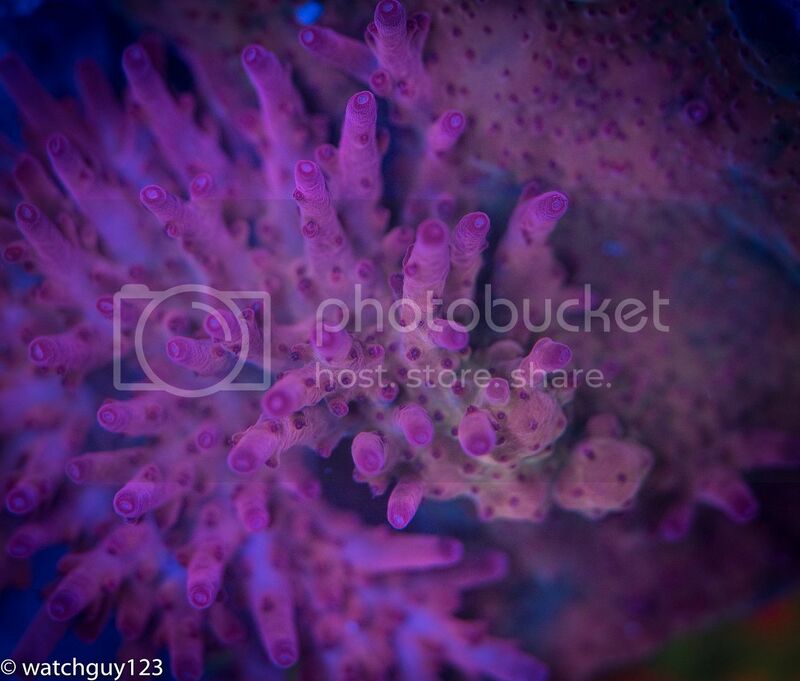 Everything about SPS I find captivating, polyp extension, colors, growth patterns, fleshy skin, macro photos, on and on. I could wax poetic about SPS but I wont. Anyway, that is where I am at now, certainly saddened and of course humbled. I hope no one takes pot shots for not having a generator, I get that part. I can’t imagine myself ever out of the hobby, but this certainly feels like the end of a saga for me. I hope that doesn’t sound pitiful. Some of my sps were pretty rare and I don’t think I will likely come upon them again. I also recognize that there is lots of pretty SPS still to be had and perhaps one day I will be there again. Some friends have already volunteered to share some of their sps with me. I am not quite ready for that yet. This happened almost a month ago, and its taken all of this time for me to get the gumption to share it. This is just horrible to hear, I'm so sorry, but glad you didn't lose your lives or house in the fires. Good luck, please keep us updated on the recovery. I am amazed that anything survived at all. Im very happy to hear that you still have a whole house to rebuild your next reef in. I've been through this 2 years ago and it's by far my worst moment in reef keeping. I traveled for 3 days to my father's house and an eletric failure in the street let my tank without energy for the whole trip. I lost all sps, fishes, clams, anemones and 95% of lps. All that I can tell you now is: take a deep breath, give thanks for your house/neighbourhood, and keep going. So sorry to read this Mark. I am on the tail end of a crash as well due to Dino's. I have lost almost all of my SPS as well so can relate to the loss of years of growth. More importantly is the loss of that feeling of success in this hobby. Every day I get sick looking at the tank but every day I vow to get back to that success. Keep your head up and your plan sounds like a good one. 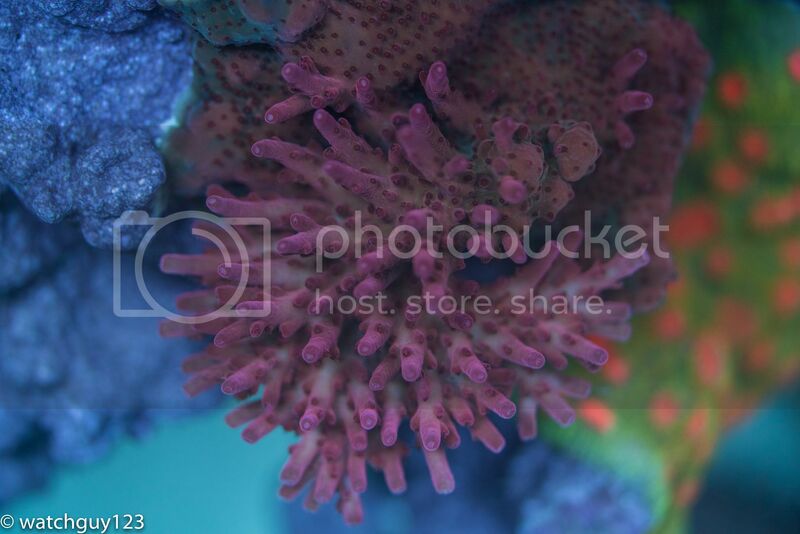 I have really envied your corals in the past and I'm sure you will be there again. Remember....the corals died but YOU still have the skills for success! I'm happy you're safe. Sorry for the loss of your stunning Reef. Really sorry to hear about the crash. While the corals may be lost, they live on in these pages, and in the knowledge you've gained. Your dream coral garden will rise again like a phoenix. Thank you for inspiring the rest of us. And sharing this journey with us. That truly is a blow to the gut!! 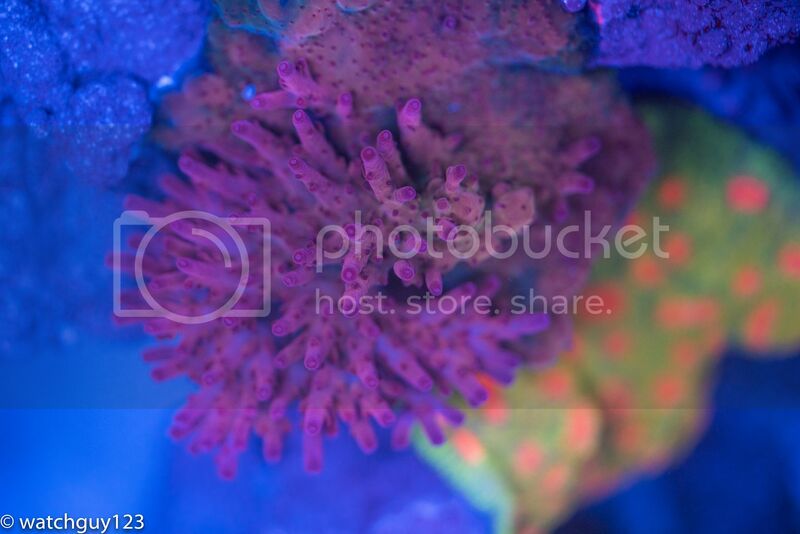 Your macro shots are what brought me back into the hobby, I met you once at a Burger King (something to do with not allowing military members near your house) to get a few of your corals, I long since gave them all away when I moved, and I'm sure they're still floating around SoCal. I'm glad that you're not being discouraged and willing to get right back into it. Just remember, it was never about the destination, it was always about the journey! Ugh Sorry Mark that’s terrible news but at least your home is fine and you all are safe. Awful to you hear and such a beautiful collection. You will be back in no time. I'm sorry to hear about that. I know how bad the fires can be (I live in Santa Barbara). I'm glad that you haven't lost your will to keep reefing. Take your time and get back into it when you're ready. I am very sorry to hear this, Mark. Important thing is that you and family are safe. I am sure your reef will bounce back very quickly. Just saw this update. I’m very sorry for you! Your Reef was one of the nicest I’ve seen.